Based on a standard double garage approx. 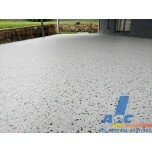 coverage 240m2. 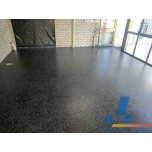 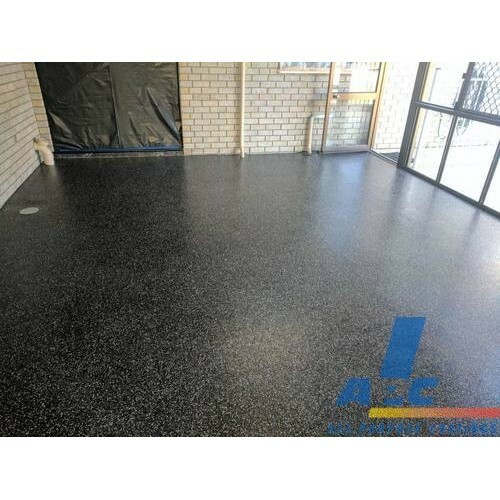 Seamless flooring kit with Tetrathane clear urethane top coats - UV Stable. 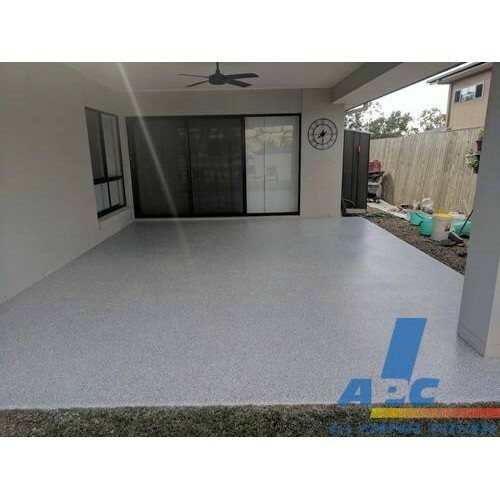 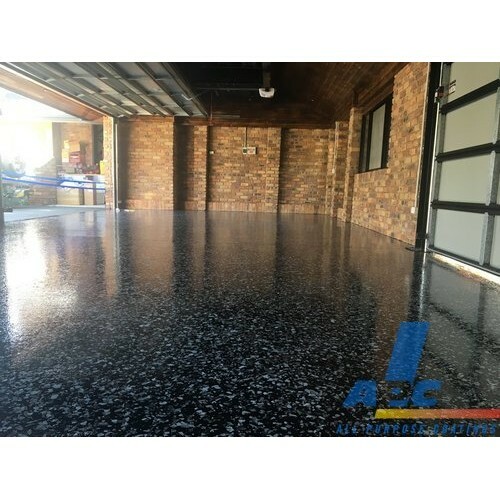 Photos depict a range of APC Flake coat finishes and top coats. APC Flake Systems are decorative, durable, hygienic and easy to maintain when used as part of the APC Seamless Flooring process. 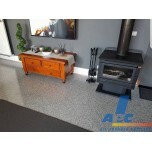 Inside and outside options. 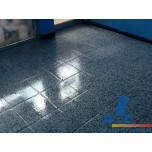 Suitable for residential and commercial applications. Flake has become a desirable long-term flooring solution, great alternative to tiles where grout can absorb unwanted contaminants. 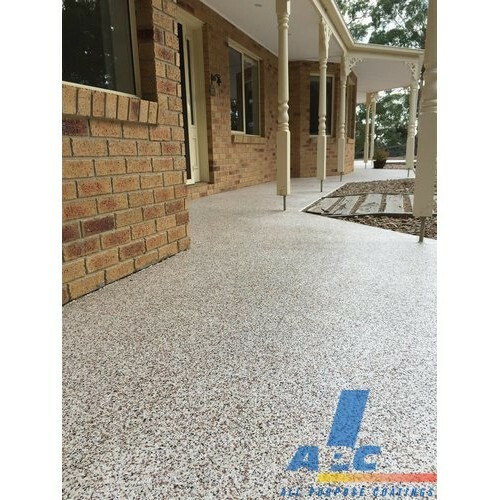 Flake is seamless and non-porous when installed as a full APC system. 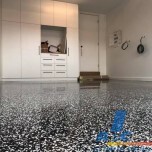 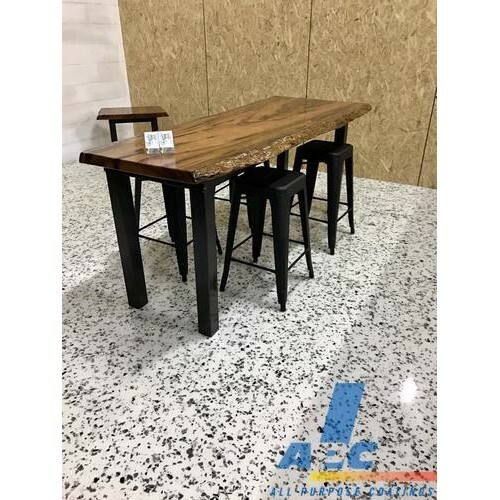 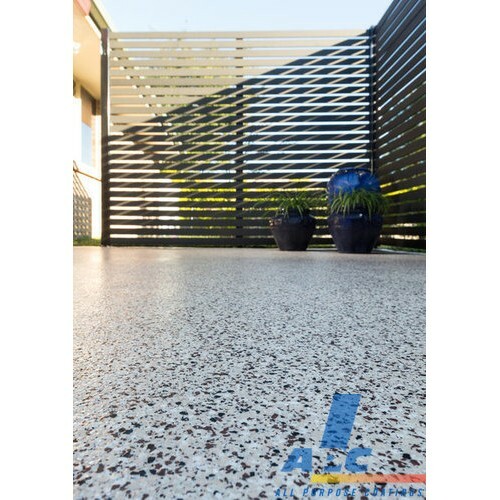 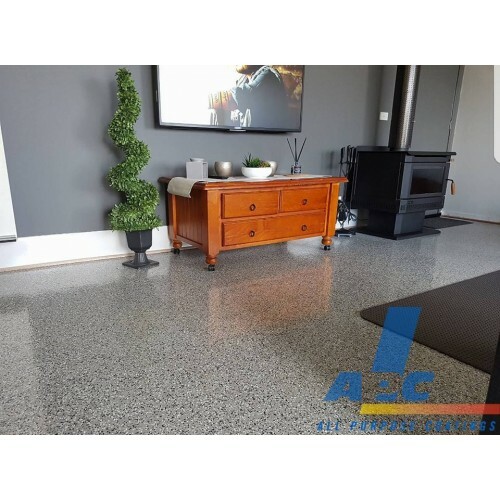 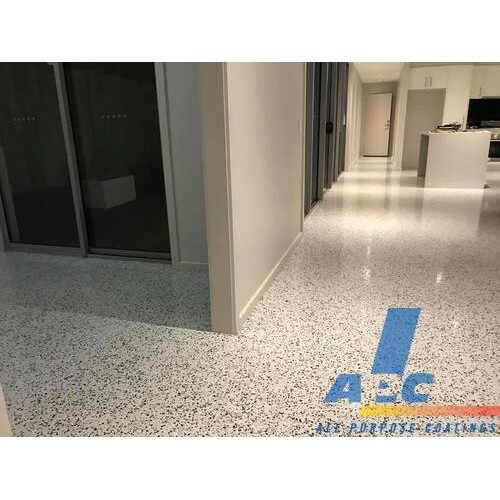 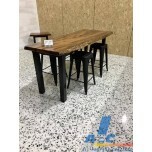 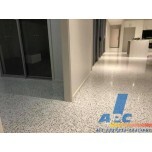 A number of additives or glass shard can be added to the system ensuring Australian standards and slip resistance requirements are met where required. 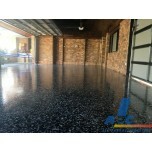 Epoxy Putty is available for crack repair prior to application if required. 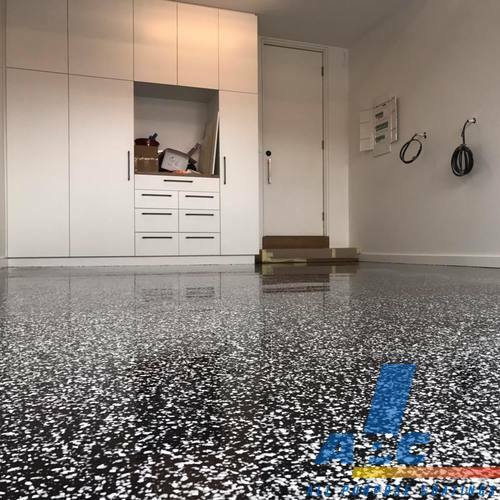 EPO100G® Glaze with a top coat of Tetrathane, this system gives a high end, glass like finish with depth of coat, very desirable for interior application. 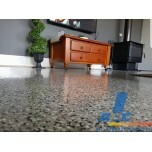 Private colour collections available on request. 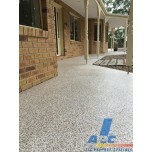 Note: Prices are based on Australian Paint Chips Flake. 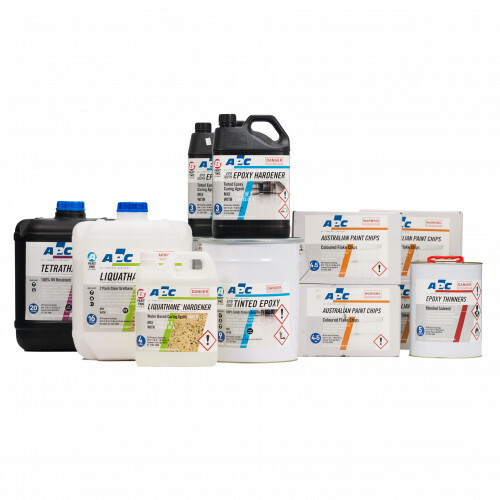 *Read TDS & SDS prior to use. 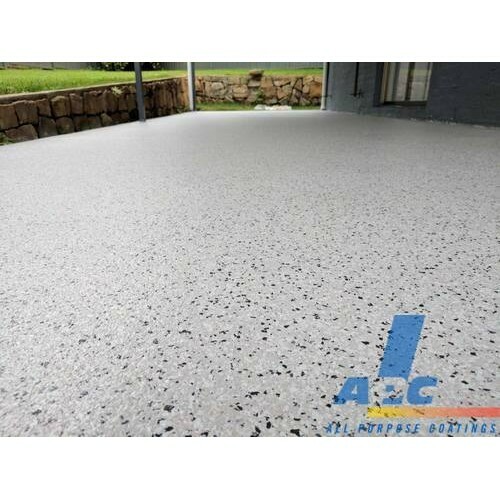 * Coverage rates for coatings are based on smooth dense surfaces. 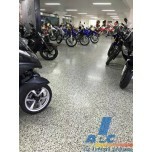 The surface texture and porosity of the concrete can vary considerably and allowance should be made for this. 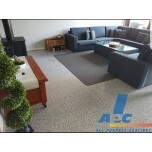 * Devices such as digital cameras, computer monitors, printers, and scanners produce colour differently. Therefore, the sample or product may not look exactly like the image that you see on your screenn your screen.